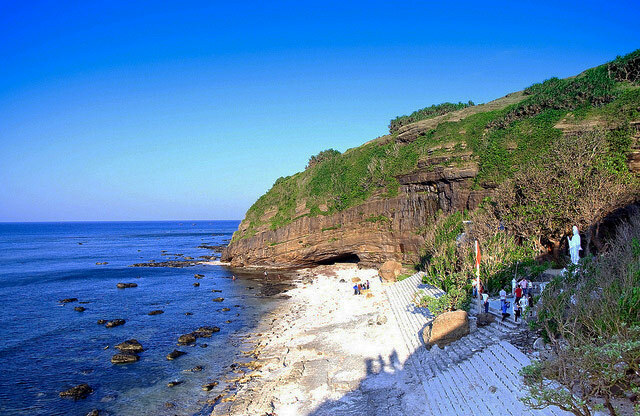 Ly Son Island in Quang Ngai Province, the 10-square-kilometer island with many historical, cultural relics and fascinating tourist attractions, is one of the country’s most amazing corners to explore. 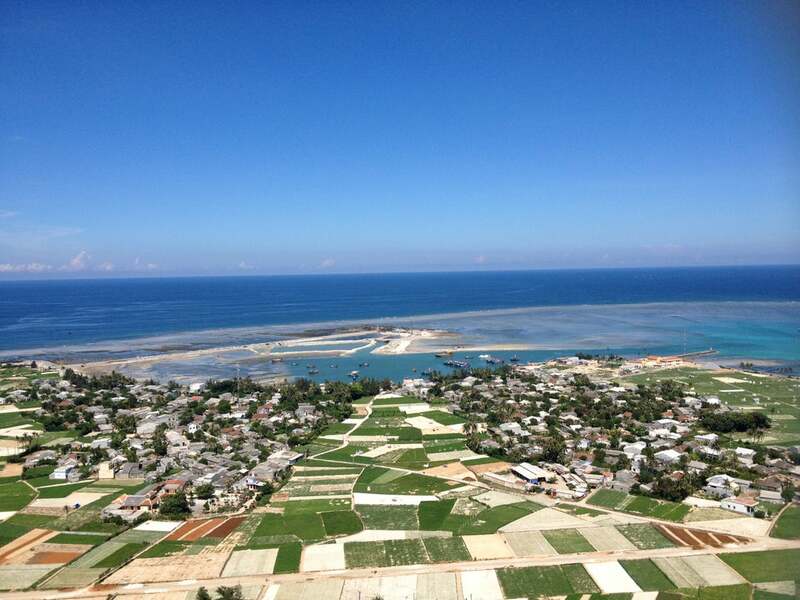 Why Ly Son Island is special ? 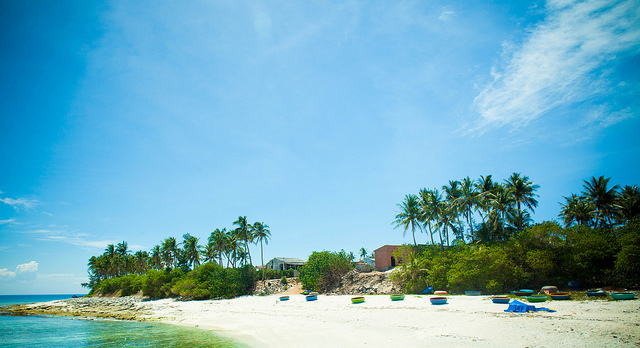 Ly Son Island in Quang Ngai Province of Vietnam, the 10-square-kilometer island with many historical, cultural relics and fascinating tourist attractions, is one of the country’s most amazing corners to explore. Though referred by many as the “fairy island,” it is also known for its vast garlic fields with a pungent aroma. Thus, it is called as the kingdom of garlic. But that’s not all this island can offer. It cradles a very diverse ecosystem with five mountains, including Thoi Loi, Gieng Tien, Hon Vung, Hon Soi and Hoi Tai, which lures tourists with its mysterious caves, imposing waterfalls, and splendid rivers and lakes. 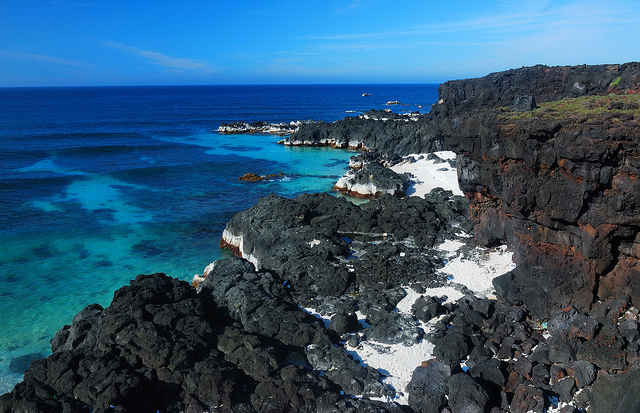 And if you look beyond the mountains are lines of stunning beaches laid with colorful rocks, pebbles and corals. 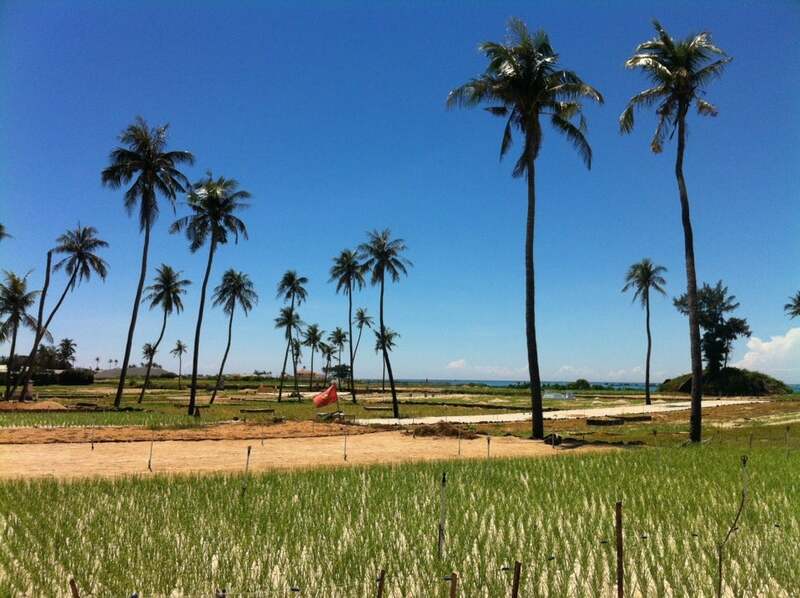 What to explore at Ly Son Island? Among the most notable attractions nestled on the island are Hang and Duc Pagodas and An Hai Temple. The Hang Pagoda is a peaceful sanctuary with ancient architecture surrounded by beautiful scenery. The An Hai Village Temple in Dong Hamlet, An Hai Commune, Ly Son Island District was built in the first year of King Minh Mang (1820) in an architectural style of Nguyen Dynasty which was reflected in uniquely carved altars or on the surface of rafters, supports and doors. Not only accommodating various valuable historical and cultural relics, the Ly Son Island also embraces legends associated with many folk and traditional festivals such as Tet (Vietnam’s new year), boat race, hat boi (traditional Vietnamese opera), fish worshipping, and especially ceremonies to pay homage to soldiers who died in battles in Hoang Sa (Paracel) and Truong Sa (Spratly) islands. But if you are not fascinated enough with its hundreds of cultural and historical relics and diversified architecture, the island has a 374-square-meters museum displaying more than 1,000 documents, photos and artefacts associated with the heroic Hoang Sa and Truong Sa troops. The island also holds a cemetery for the late Hoang Sa soldiers. Many artefacts of Sa Huynh and Cham Cultures were discovered on Ly Son island. The Thien Yana and old Ruong houses are evidence for Sa Huynh and Cham’s ancient civilizations. Indeed, artworks and historical tokens can come in many forms. But perhaps Ly Son, with its charm, rich history and entirety, is among the few ones that prove to be a token in itself. How to get to Ly Son Island? From the centre of Quang Ngai Province, by speed boat, it takes about 45 minutes to get to Ly Son Island. The ferry speed boat to Ly Son starts at 8:00 am from Sa Ky port. To Sa Ky port you can come by motorbike or public transport from Quang Ngai. If you are planning to go from Quang Ngai by public transport to the harbour, take the bus number 3 Mai Linh Bus at the city’s bus station (Quang Ngai Bus Station) at 5:00 or 5:45. The trip takes about an hour. The bus goes directly to the port and starts back also from the Sa Ky harbour. To buy ticket you need to have ID. On arrival at the island, you will be asked to go to the police station right outside the port and register your ID. Ly Son includes two islands: Main and Little island. The Little can be reached by boat from Main Island, departure around 8:00 am and return back at 14:00. Travel on a boat cost 50,000 dong (round trip), you can rent a boat yourself, which will take you at any time. There some guest houses on the Big island, you can rent a scooter (100,000 VND per day) or a bicycle to explore the whole island. Walking from the main way to the welcome gate of Ly Son, turn left along the small route to Duc Temple, you will see a small rock-top close to the sea. This is one of the favorite destinations for young people who love photography. Little island is uninhabited, but it has beautiful sandy beaches, you should bring your food and drinks. The best time to visit Ly Son is in the summer, during June to September, the weather is quite nice and sunny, which is suitable for sea travel. The garlic season in Ly Son starts in September and they will be harvested in the beginning of December. Then, you can buy to bring home as souvenirs. 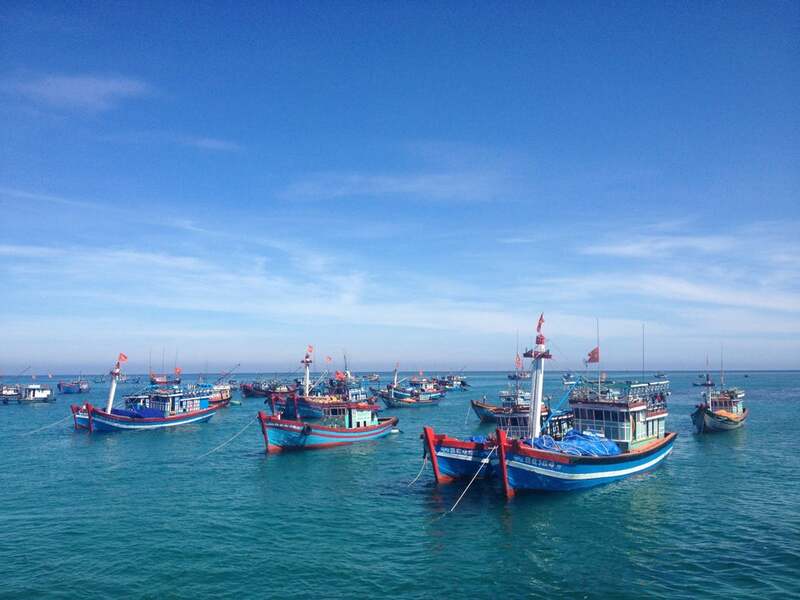 Due to the fact that there’s only one boat to Ly Son Island a day, if you can’t make it to the Sa Ky Port in time (before 7am), you should try to visit several destinations in Quang Ngai while waiting for the next boat. Ferry ticket to Ly Son cost 115,000 VND, ticket for motorbike cost 50,000 VND, but additionally you'll need to pay loading on ship 40,000 VND. You should try some delicious dishes and specialties of Ly Son like "It" cake mixed with Gai leaves, Ly Son garlic salad, Tuong shellfish, Huynh De crab, Ta Ma fish, Hac My Nhan watermelon, etc.